Everything has a history, and this couldn’t be more true when it comes to metalworking. 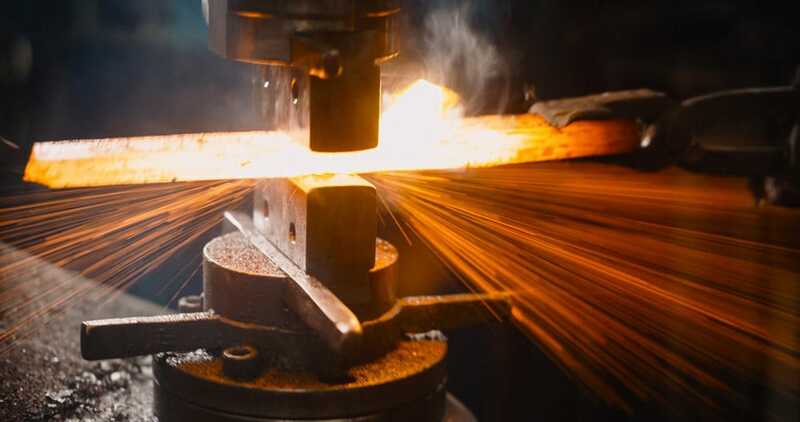 With a history tracing all the way back to 4500 B.C in Mesopotamia, forging metals has a rich past worth understanding. Early inhabitants of Mesopotamia, the Sumerians, were the true founders of metallurgy, and it was their early innovations that has led us to the many advancements in the industry we enjoy today. Using heat and pressure, they effectively forged metals and paved the way. During the Dark Ages, there was a significant drop in forging, and it’s no surprise. This was a trying time, and many advancements came to a notable halt. Metal forging was only performed by those with a high social and economic status. In fact, even the Romans stepped back from their well-known forging of their gods of worship. However, when it came to war, the production of quality weaponry was still strong. Due to this need, the iron industry was able to survive and thrive. Developments were made, and one of the most important was when the Romans discovered the ability to use water power in metal forging. They used this discovery to easily and expediently operate valuable tools like mechanical hammers. These hammers were put to use around 10 A.D., and evidence suggests they were still in use as late as the 20th century. The next significant advancement in technology was the steam engine during the 19th century. This marked the introduction to modern metal forging. It allowed innovators to move on to even more significant discoveries including explosive forming and electrical power. It’s no wonder why forging has stood the test of time. It allows us to create everything from art to useful tools that allow us to work smarter instead of harder. Forging is now a leading industry expected to continue to thrive into the foreseeable future.